As a physically and emotionally abused child, 18 year old Marriah has no idea what she will find when she escapes the village where she and her father are enslaved. 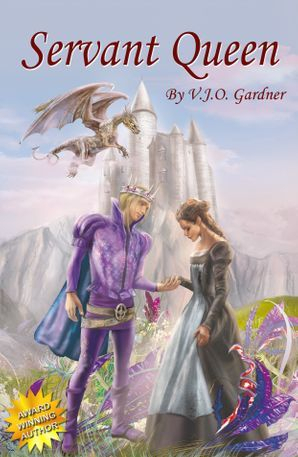 She will encounter dragons and a group of people with magical talents after her father sacrifices himself when their master tries to make her his wife. Following her father’s wishes she seeks the Lords of Dracona. With their evil master hunting her down she runs guided by a mysterious voice. Unable to speak, even if she finds the men she seeks, how will she communicate with them or even trust them? She fears she will never be loved nor be able to love anyone in return even more than she fears being returned to the man who is pursuing her. Even after meeting the handsome King Archelaus of Burton who treats her as his equal, she is still too wary to trust any man. While her physical wounds heal she learns to read and write. The world of Asculum will never be the same when Marriah uncovers a secret about her heritage that her father was willing to take to his grave.